Congratulations! You played yarn chicken and won! Just barely, but you mastered those last few stitches. Now what? You’ve still got to weave in your ends, right? Step 1: Split the plies apart. 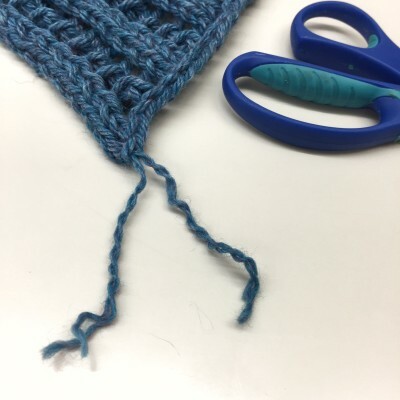 Untwist the yarn a little and pull apart the plies so that you’ve got two sections of yarn instead of one. Why? Well, the whole goal with weaving in ends is to find security. 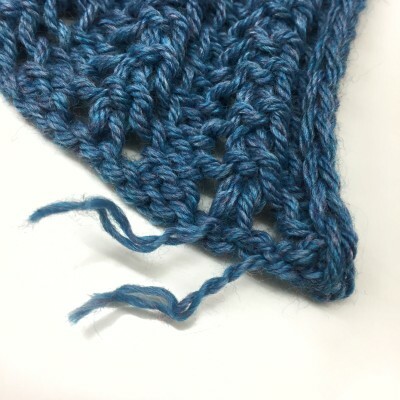 To know (rather than hope) that the ends won’t come slipping out, popping through the bind off edge, and instantly unravelling your whole project in one-nightmarish moment. With an end that’s a normal length, we do that by weaving in the yarn a fair distance. 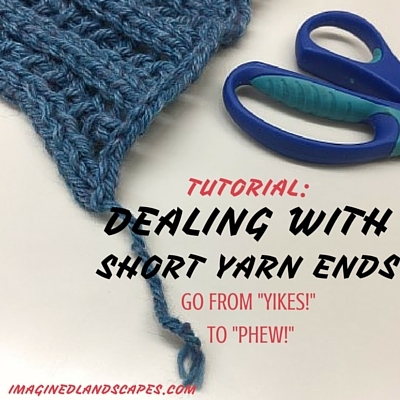 When I’m weaving in an end, I also like to split the plies (i.e., pass the needle – and therefore the end – through the strands of yarn I’m weaving around). But here, with two short strands to weave in, you’ve hugely decreased the odds that both will be cunning weasels and slip out of control. Step 2: Weave in those little devils separately. Work each one across as far as you can. Taking a stitch or two to head back toward where you started and then in the original direction again can also help. Even in regular weaving in of ends, that little zigzag provides a bit of security when the fabric is stretched horizontally. Position the needle where you want it, then thread the plies back through, and pull through the fabric. Repeat, each time repositioning and rethreading the needle. 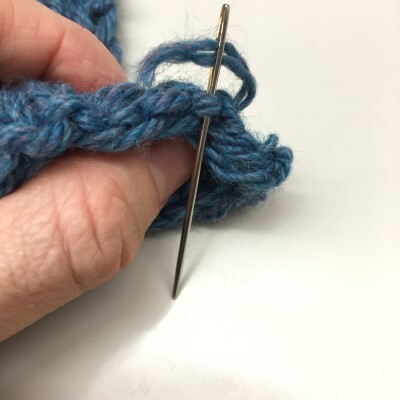 Find a crochet hook and accomplish the same thing without having to rethread through the eye of the needle. Hope this helps. And good luck with yarn chicken! Even more tutorials on the Knitting Tutorials page.